If Apple wants to make the iPhone fresh, it should take a lesson from its new companion gadget and use the Force. It’s come a long way since its humble beginnings, but the iPhone has yet to go through a truly radical transformation. While the iPhone 6 was certainly a significant upgrade from the 5s, each biannual revision has mostly brought expected design changes—larger screens, higher resolutions, thinner chassis—and for the most part, the iPhone hasn’t strayed too far from its original concept. The home button is obviously the biggest obstacle to any serious design change. No matter how much further Apple refines its rounded rectangle, as long as that circular button stays firmly planted below the iPhone’s screen, there isn’t a whole lot more that can be done. Assuming we’ve reached the limits of screen size, that leaves only a few scant millimeters in thickness and bezel width, neither of which will bring the kind of improvements customers demand with each new release. Even with a limited range of functions, the home button is the most familiar part of the iPhone. Its ubiquity is part of the reason some early adopters struggled with the Apple Watch’s navigation—we’re so accustomed to clicking the home button to return to the home screen of apps that we naturally expected a similar thing to happen with Apple Watch. When it didn’t, people were confused. But after using it for a stretch, it becomes the clear that Apple Watch actually has a smarter navigation than the iPhone’s ultra-simplistic method. On Apple Watch, the de-facto home button (pressing the Digital Crown) is contextually aware enough to act as a sort of back and a next button—when you’re in Glances, it brings you to your watch face; when you’re on your watch face, it bring you to the apps; and when you’re in an app it returns to the home screen. You can even double-tap it to jump back to the last thing you were doing. In practice, it makes perfect sense, and the more I use it the more logical it seems. That kind of navigation is just as logical on the iPhone. While a fixed button on the front has always implied a singular, central action, removing it—whether by moving it to the side or the more likely option of making it virtual—would take the pressure off of it as a primary tool and open iOS to new kinds of navigation. On the iPhone, the home button is a direct path to our apps. No matter where we are, pressing it brings us back to the icon grid. But on Apple Watch, apps aren’t central to the experience. The main screen is the face, followed by Glances. Apps on Apple Watch essentially exist in the background, in direct opposition to the iPhone method, where they’re always front and center. With or without a home button, the iOS home screen is overdue for a change. On Android, an app drawer keeps installed apps out of sight, leaving the home screen free for widgets and shortcuts, and I could see Apple doing something similar with iOS. The new proactive search page in iOS 9 is the first step, and it could become a pivotal screen. By learning which apps you use most and when, you won’t need to swipe between pages of icons. Apps you don’t regularly use will stay out of your way, and the home button would be less important to navigation. Apple could solve the problem of constantly jumping in and out of apps by borrowing another Apple Watch feature: Glances. With Glances on my watch, I can get a day’s worth of information without needing to launch any of the apps—that’s not quite so easy on my iPhone. Notification Center widgets can be helpful in some cases, but the infinite scrolling method isn’t nearly as useful as full-screen Glances on my Apple Watch, and I usually find it quicker to check scores or weather by visiting the app on my iPhone, not its widget. By reimagining the Control Center, iOS could bring a similar swipe-up method for quick actions. People have been calling for a way to customize Apple’s quick-launch screen since its debut in iOS 7, but I’d love to see a swappable series of Watch-style Glances that bring quick actions and bite-sized data chunks, so I can rely less on the apps. If I could swipe up to quickly jot down a thought in Drafts or compose a tweet in Tweetbot, I could reserve the full-featured apps for longer sessions, and I wouldn’t have to switch between apps as often. Even if Apple does plan to ditch the home button, it’s not going to happen this year. But a good start toward our home-button-less future would be to incoporate another key Apple Watch technology. Force Touch on the iPhone 6s is the biggest inevitability since Siri on the iPad. 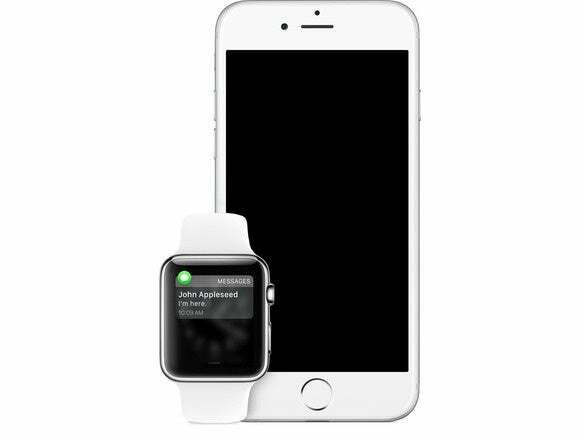 On the Apple Watch, Forch Touch is like a right-click, offering options that would be clunky to access via menus. The potential on iPhone is even bigger. While an SDK would blow the doors off what developers can do, even at a basic system level, Force Touch could radically change how you navigate iOS. Instead of double-tapping the home button to enter the multitasker, a hard press could initiate the same command, letting you switch apps without changing your grip. Or maybe Siri could be summoned via a forceful touch on the screen, making it more accessible. Currently, Siri acts as a separate app, but incorporating it into the task you’re working on—letting you perform searches or dictate text within an app—would make more sense. While DigiTimes isn’t a reliable source of rumors, getting rid of its largest button does seem like a natural progression for the iPhone. There was a time when a home-button-less iPhone would be a fantastical notion, a pie-in-the-sky concept that looks great but ultimately would confuse more than simplify. But the Apple Watch changed my thinking. Moving to a wrist-sized screen has enabled Apple to think beyond the conventional navigation and operation, and it won’t take long for that mentality to make its way to iOS. We’re already seeing signs of major changes with the iPad’s gesture-based multitasking and the new smart search window, and the idea of an iPhone 7 without a physical home button doesn’t seem so far-fetched anymore.